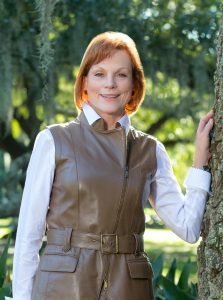 New Orleans, LA – March 29, 2018 – Nina Kelly signed on as an Executive Producer in a new “Mission for Good” documentary feature film from DNA Films® tentatively titled “K9s For Warriors”. The film will focus on K9s For Warriors, an organization that brings together US Military Veterans and rescued shelter dogs, which go through weeks of training together as a unit, to save each other’s lives. Five-time Emmy Award winning Director Nick Nanton will direct this documentary about the incredible story behind the organization, K9s For Warriors. As an Executive Producer, Nina will attend the principal filming of the documentary, meet some of the warriors (men, women and dogs) and see how K9s For Warriors is helping our service men and women to overcome PTSD and return to their communities to move onto the next successful chapter in their lives. “K9s For Warriors” began principal photography on location in January of 2018.